Heraklion, Greece, April 2018. 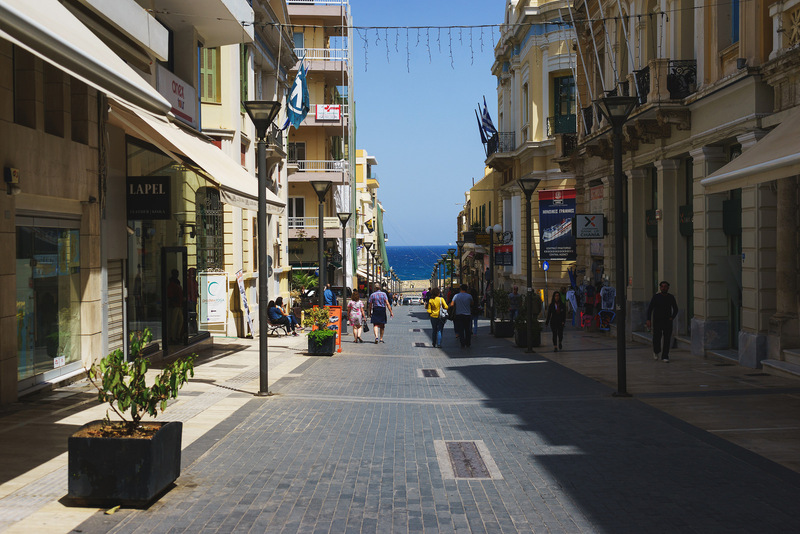 Streets of Heraklion, Greece. Warm, sunny day in a Greek city. Walk around the city on a summer day with a view of the sea. Souvenir shops and gifts for tourists and travelers.